Ginseng is a plant that has been adopted as an herbal supplement. Being the most medicinally valuable element of the plant, its root has been used in traditional Chinese medicine for centuries. There are many variations of this plant – most notably red Korean ginseng, American ginseng and Asian ginseng. The compounds found in the root’s complement one another to provide health benefits. The compounds found in ginseng- more particularly ginsenoside – may possess anti-inflammatory properties. According to test-tube studies published in the journal Molecules, ginseng compounds can potentially deter inflammation. Another study found improvements in people dealing with skin inflammation. Click here to find out more. The Ginseng root could be the brain boost that you need. It could also be part of Alzheimer’s treatment. According to one study, patients with Alzheimer’s disease showed positive brain improvements, once they began consuming the root in conjunction with their other medication. Aside from protecting your brain against free radicals (which can prevent the onset of dementia and Alzheimer’s), studies have also found that the root can help to improve your memory, behavior and concentration. Ginseng could be nature’s Viagra. 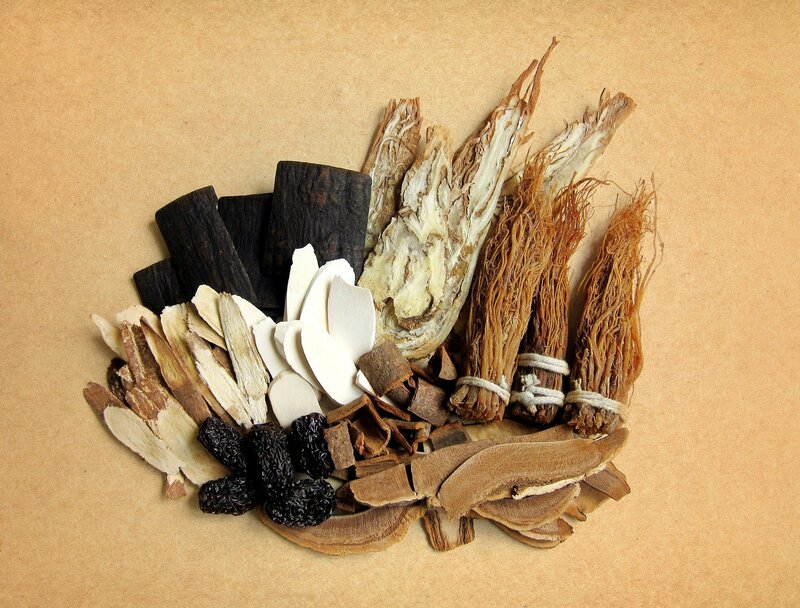 Traditional Chinese medicine has always viewed the root as an aphrodisiac and many have noted its potential to restore sexual function in men. Although more studies are needed in order to draw definite conclusions – the effects of ginseng on erectile health look promising. One study highlights the potential for this root to be used as an alternative form of treatment for men suffering from erectile dysfunction. Additionally, another study found significant improvements in regards to erectile dysfunction symptoms. In regards to female reproductive health, a study published in The Journal of Sexual Medicine found that ginseng can help ease menstrual cramps as well as combat symptoms associated with menopause. Click here to find out more about this effect of the root. Although more research is needed, there have been some studies that highlight ginseng’s anti-cancer properties. Studies have shown that individuals who include the root in their diet can reduce their risk of developing certain types of cancer. This is likely due to its potential to hinder tumor growth. consumption, the American ginseng managed to help improve their blood sugar levels. Korean red ginseng can also help to increase insulin sensitivity which is important for diabetics. Being an adaptogen, the root possesses the properties to help combat mental, physical, and environmental stress. While nourishing and strengthening our adrenal glands, adaptogen also help to reduce the stress hormone- cortisol. According to one animal study -which was done on rats suffering from chronic stress – ginseng was found to be a potential alternative treatment for stress-induced disorders. How can you include it into your diet? The root can be enjoyed in a number of ways. It can be eaten raw (simply steam it to soften it) or be stewed in hot water to make a refreshing cup of tea. It can also be added to soups and stir-fry’s. Aside from its whole form, ginseng is available as supplements in the form of capsules, tablets, powders, and liquid extracts. If you intend on taking supplements, limit your dose to 200 to 400 mg daily. Want to spice up your life a bit? Click here to find out how your health can benefit.